If you are suffering from obstructive sleep apnea, then our practice can help provide relief using a safe, comfortable, and effective treatment: oral appliance therapy. Dr. Robert Dernick has used this method with great success, and he can do the same for you. If you believe that you have sleep apnea, have a sleep apnea diagnosis and still need treatment, or if you’d like to get rid of your CPAP, oral appliance therapy may be exactly what you’ve been looking for. 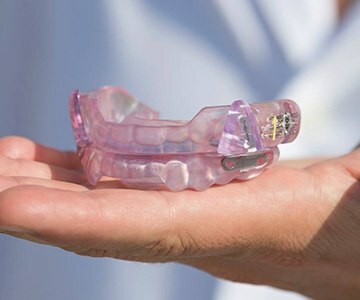 Oral appliance therapy is a treatment methodology that utilizes a custom-made mouthpiece worn during the night to prevent the symptoms of sleep apnea, specifically, the lapses in breathing that occur during sleep. It accomplishes this by gently shifting the jaw forward in order to keep the airway open throughout the night. At our practice, Dr. Dernick coordinates with a team of local sleep experts to ensure that every oral appliance fits comfortably and enables a patient to get the quality sleep that they need. According to research, as many as 50% of the people who are prescribed to use a CPAP machine don’t, and if you have one, then it’s probably no mystery why. The machine can be loud, bulky, inconvenient, and many patients feel very constricted while wearing the mask. Oral appliance therapy offers a viable treatment option that instantly takes care of all of these problems. These appliances make no sound, they are custom-made to fit every patient, and they can easily travel everywhere you do. Many patients are able to achieve instant relief from their sleep apnea and enjoy increased comfort thanks to oral appliance therapy. It can even be used in conjunction with a CPAP machine for combined therapy. However, it does not work for all patients, so you will need to consult with your sleep doctor and Dr. Dernick before trying this option. The American Academy of Sleep Medicine (AASM) and the American Academy of Dental Sleep Medicine (AADSM) are two professional organizations that set the standards for the prevention, diagnosis, and treatment of sleep apnea in the United States. Through them, a doctor like Dr. Dernick can receive up-to-date research, certifications, and continuing education. Patients who chronically snore should consult with a sleep dentist to make sure it isn’t a symptom of sleep apnea. While not all snorers necessarily have sleep apnea, it could be a sign that a person isn’t getting the most restful sleep that they can. Snoring can be easily addressed using a custom-made oral appliance provided by a licensed practitioner (like Dr. Dernick). While there are numerous generic oral appliances that can be purchased at the store or online, they should largely be avoided. These are typically made to fit a wide range of people and cannot provide the same results as a custom-made appliance. In many cases, they can cause jaw pain and even make a person’s sleep apnea symptoms worse. It is best to only get an oral appliance through a qualified sleep dentist. 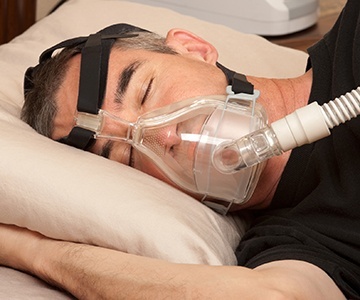 If a patient is CPAP intolerant, CPAP non-compliant, or otherwise unable/unwilling to consistently use their CPAP, they should consult their sleep doctor to see if oral appliance therapy could provide a viable treatment alternative. They can then partner with Dr. Dernick in order for you to receive an appliance (at their recommendation). 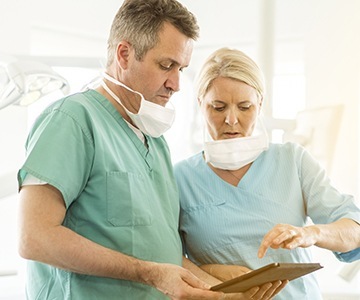 After being fitted for an oral appliance, a patient will need to complete an additional sleep study in order to make sure the device is actually helping to reduce sleep apnea symptoms. They may also need to visit their sleep dentist periodically to make sure their oral appliance is in good working condition. If you would like to learn more about oral appliance therapy and how it could help you, please contact Dr. Dernick for a consultation today. He’ll be ready to answer all of your questions and ensure you receive the treatment you need.